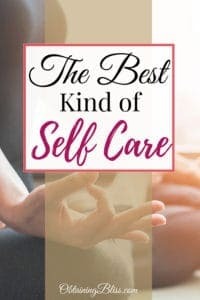 Finding The Best Kind of Self-Care - Read Now! With all the options of taking care of yourself, sometimes the best kind of self-care is something that is so obvious. Going to the doctor when you’re sick, or just getting a yearly check-up. Taking a long bubble bath when you’re stressed, or going for a long walk. Learning about your family’s background and how to embrace it that’s spiritual self-care, and sometimes that can be overlooked. Another way of taking care of yourself that is overlooked is getting mental health care. There’s such a stigma attached to getting this kind of care and this spreads throughout different communities- many Hispanic and African-American families look down upon this because it may reveal family secrets, and/or that the issues can be “prayed away” or otherwise taken care of in church. Yes, faith can help in times of emotional stress and throughout treatment, but it can’t always be “prayed away”. A very close friend of mine has struggled for years with anxiety, depression and suicidal thoughts. He did attempt suicide, and we met not long after his attempt. He has also lost two brothers to suicide, but yet, Josh gets out of bed every day, and is a father to four and a wonderful psychologist. What helps him? He’s a very devout and passionate Mormon. He also sees a psychologist and takes meds daily. On the other hand, I’m not religious at all, but I can understand where people do lean on their faith in this area. It can be difficult for those struggling in these and other similar thinking communities to seek help. They may or may not have the support, finances or other things they need to get treatment. If you’re 17 years old, depressed and you know your mom isn’t going to agree to take you to see a therapist because she thinks “oh, just pray about it”, it can be hard to get help, and that is when things can and do get worse. This can happen at many ages and stages in life, not just teens. Another stigma is that only deeply “disturbed” people need help. Sometimes people need help through a certain situation or time, or for longer time periods. You can’t tell who is seeking treatment just by looking at them. I started therapy two years ago, after Josh’s (the friend I mentioned earlier) brother, Jacob, completed suicide. We were very close, and I had a horrible time processing his death. I’m still there, going every three weeks. I have been able to process Jacob’s death and move forward, but I had other issues to tackle along the way. My younger son spent a year in social skills therapy due to issues with ADHD and autism. You never know who may or may not be in therapy. One of the biggest stigmas I have heard of is the fear of being judged by the mental health professional. They are trained not to judge you. There are classes for that. I’m not entirely sure on how that works, but I am pretty sure they have heard things you would never imagine. I’m not a therapist, but I have a decade of mental health work behind me, and the things I’ve seen and heard would make many people run out of the room. I have developed a great poker face, and so has just about any mental health professional you’ll see. With those stigmas out of the way, I cannot express the importance of getting help enough. You’re not alone, there are millions of people in some sort of treatment, in or outpatient. It is not an easy road, but it one well worth the travel. It may take a while to start feeling better, to see results from any medications, but things can change. If you have insurance, please make sure you have mental health coverage and what is and isn’t covered. I have kept a rider on my health insurance for the last 6 years and it has been worth the extra money. If you don’t have insurance, look into sliding scale or free resources. Many locations have options and your mental health is worth looking into. In or outpatient treatment. This is different for everyone. Some people can be fine with outpatient treatment, and some need inpatient treatment. Inpatient treatment can be very intense and obviously needs more arrangements made before attending. Male or female? If you’re looking for private therapy, this is a good thing to consider. My therapist is a woman, I couldn’t see myself opening up so much to a man. Everyone is different on this, but find someone that works well for you. This may take one or more tries. If you aren’t quite ready for treatment or even private therapy yet, there are websites and apps that you can find to connect with others in similar situations (Like the Obtaining Bliss Facebook Group). There is a crisis text line now- text START to 741741. A trained counselor will answer you immediately. It’s free and confidential. Of course, if you are in need of immediate help, please go to a nearby ER or call 911. Getting help for any type of mental health issues is a hard decision, but it can truly change you and your life. This guest post was written by Wrae Sanders. 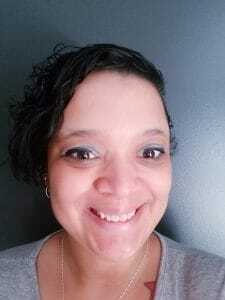 Wrae is a parenting/mental health blogger in Louisville, KY. She has a BA in Clinical Psychology and a decade in mental health work experience. When she’s not writing, she enjoys reading, true crime podcasts, and movies. She is married and has three children. 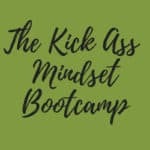 Sign up now to get access to our FREEBIES, which includes a SMART Goal Setting Guide, Gratitude Brainstorm, Inexpensive Date Ideas and so much more! Yes! Breaking the taboo around mental health is so important– both for those who need help and for those who need to be better informed.